June Trials and Pre-season announced! Tiffin have announced their first set of trials and pre-season dates for the summer. We welcome all new, old and current members along. This is a great chance for new players to come down and see how we run as a club, and existing players to keep up their fitness over the off season. So whether you’re old or new, come along for a run along and some netball fitness! 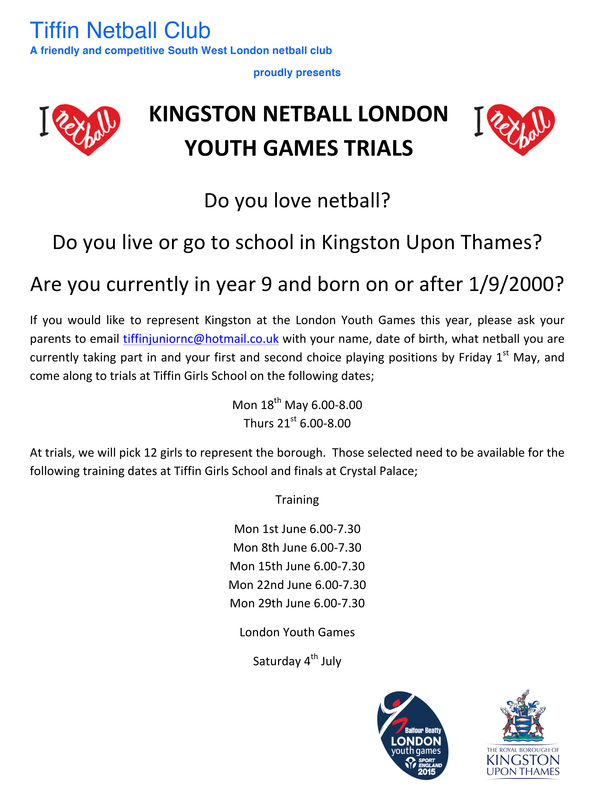 If you are new and interested in coming along, drop us a quick email on tiffin.netballclub@hotmail.com to let us know you’re coming. If you could also fill out a trial form (Trials Form) that would be great.